Nickolas Donnelly, 14, was last seen at 10 a.m. Tuesday at his Chambord Court home in Shoreham. SHOREHAM, Long Island (WABC) -- The body of a missing teenager was found in a wooded area on Long Island Wednesday morning. Authorities had been scouring the north shore for 14-year-old Nickolas Donnelly, who was last seen Tuesday morning leaving his Chambord Court home in Shoreham for a run. His body was discovered near Royal Way in Shoreham at approximately 7:50 a.m. The cause of death appears non-criminal. "My brother and wife are waiting for the results from the Medical Examiner's Office, and they would like to express their gratitude for all the love and support from the community. He always greeted you with a smile on his face and went out of his way to say hello. He was an excellent student, great athlete, in two sports, wrestling and baseball. 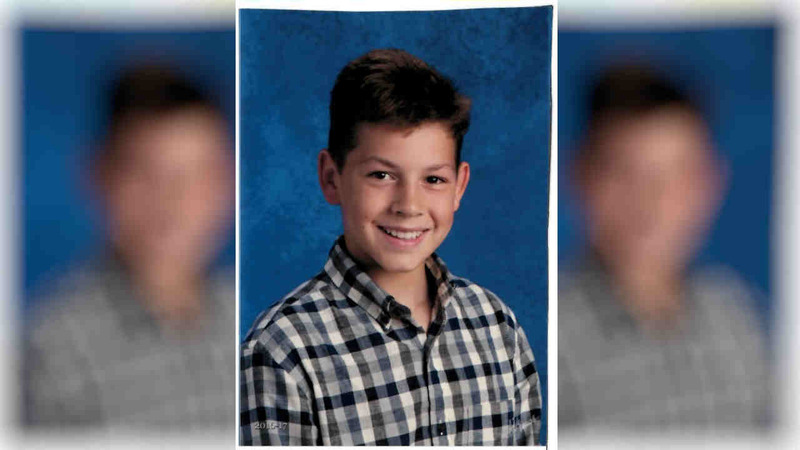 He had many friends and will be missed by his two brothers, Luke, who is a junior, and Kyle, who is in 6th grade." He said Nickolas Donnelly was not bullied and was well-loved and popular.